UPPER MARLBORO, Md. 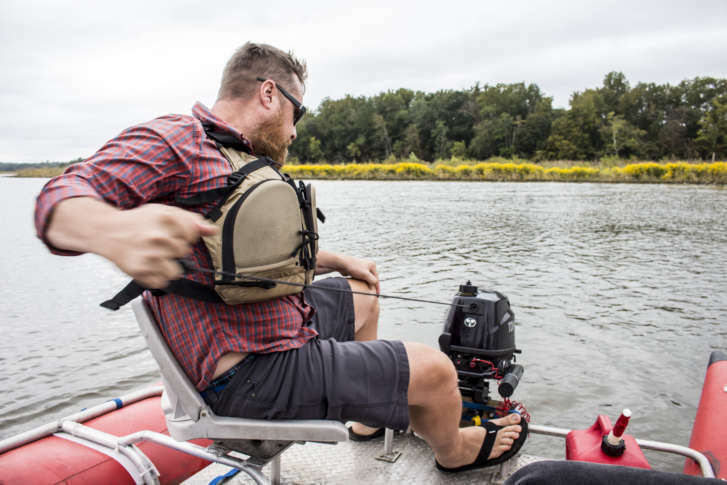 — After firing up the onboard computer, the burly and bearded Minnesota native yanked the pull starter cable on his 6-horsepower Tohatsu motor. He twisted the tiller-throttle into gear, lurching the custom-built 16-foot long, 8-foot wide cataraft boat up the Patuxent River and away from the pier at Jackson’s Landing in Upper Marlboro, Maryland. Meanwhile, Doyle looks forward to using the 2014 images as a baseline for the James’ riparian buffers — wooded areas immediately adjacent to the river — to compare with future river conditions. View the 360 tours of waterways.